The Manhattan skyline is one of the great wonders of the modern world. But how and why did it form? Much has been written about the city’s architecture and its general history, but little work has explored the economic forces that created the skyline. 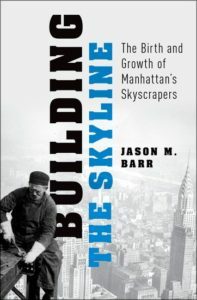 This book chronicles the economic history of the Manhattan skyline! In the process, the book debunks some widely-held misconceptions about the city’s history. You can purchase the book through Amazon or Oxford University Press. Using vacant land sales, we construct a land values index for Manhattan from 1950 to 2014. We find three major cycles (1950 to 1977, 1977 to 1993, and 1993 to 2009), with land values reaching their nadir in 1977, just after the city’s fiscal crisis. Overall, we find the average annual real growth rate to be 5.5%. Since 1993, land prices have risen quite dramatically, and much faster than population or employment growth, at an average annual rate of 15.8%, suggesting that barriers to entry in real estate development are causing prices to rise faster than other measures of local wellbeing. Further, we estimate the entire amount of developable land on Manhattan in 2014 was worth approximately $1.74 trillion. This would suggest an average annual return of about 6.4% since the island was first inhabited by Dutch settlers in 1626. The literature on urban spatial structure tends to focus on the distribution of residents within metropolitan areas. Little work, however, has explored population density patterns within the city. 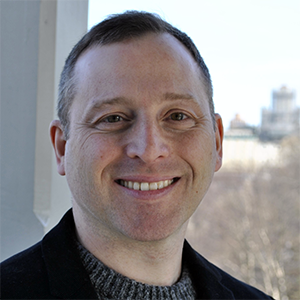 This paper focuses on a particularly important time and place in urban economic history: 1900 Manhattan. We investigate the determinants of residential spatial structure during a period of rapid population growth. We explore the effects of environmental factors (such as historic marshes and elevation), immigration patterns, the location to amenities, and employment centers. While environmental features and amenities were significant, their effects were dominated by the location choices of immigrants. On the supply side, we also explore how the grid plan affected density.